Greetings again from the darkness. If you aren’t an avid reader of John le Carre’ spy novels, perhaps you’ve seen movie versions such as Tinker Tailor Soldier Spy, The Constant Gardener, or The Russia House. 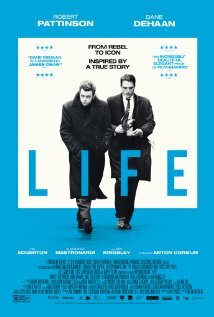 If not, how about director Anton Corbijn’s previous film The Amercian (2010 with George Clooney)? The more you’ve read and seen these, the more you are prepared for this latest. Mr. le Carre’ was actually part of MI5 and MI6 (British Intelligence) and uses his experiencefrom so many years ago to provide the type of post 9/11 anti-terrorism spy thriller that doesn’t focus on explosions and gun play, but rather the subtleties of communication when very smart people go up against other very smart people who may or may not share their goals. Secrets and misdirection abound. Traps are set, and sly maneuverings are pre-planned. As if all that weren’t enough, how about yet another mesmerizing performance from the late Philip Seymour Hoffman? He is a master at the top of his craft here. Sure, maybe the German accent is a bit distracting at first, but it was necessary because movie audiences needed a constant reminder that he is not playing an American! I cannot explain how this chain-smoking, mumbling schlub can so dominate a scene and disappear into a character, but Hoffman most certainly does both. In addition to a very cool script, excellent support work comes from Grigor Dobrygin as Issa, the central figure in Hoffman’s character’s work, Willem Dafoe as a somewhat shady banker, as well as Robin Wright, Daniel Bruhl, Nina Hoss, Homayoun Ershadi, and Rainer Bock. 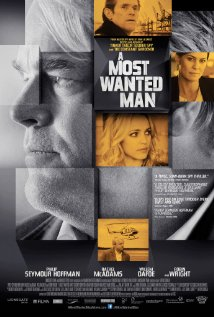 The only miscast is Rachel McAdams as rich girl turned terrorist sympathizer. Parts of the score were excellent – the droning, ominous piano notes set the right mood. The composer was Herbert Gronemeyer, a German rock star (you’d never know from the score). This is a delicious, challenging look at international spies and how one never knows where they fall on the food chain … minnow, barracuda, shark. **NOTE: Philip Seymour Hoffman was such an impressive talent, and after this, there are only a couple of projects remaining where you can see his final work: God’s Project (from Sundance Film Festival) and the last of “The Hunger Games” series. At some point, I will do a retrospective of his career, but not until his final works have been released.